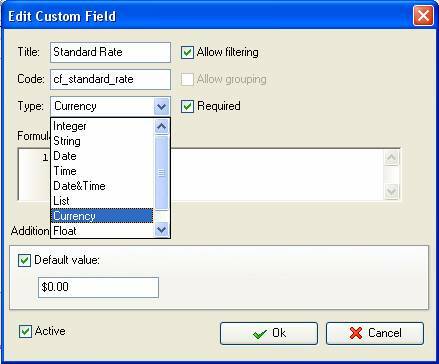 The Standard Rate custom field shows direct labor rate which should be paid to resource for each hour of work to complete a certain task or project, for example, $15 USD per hour. 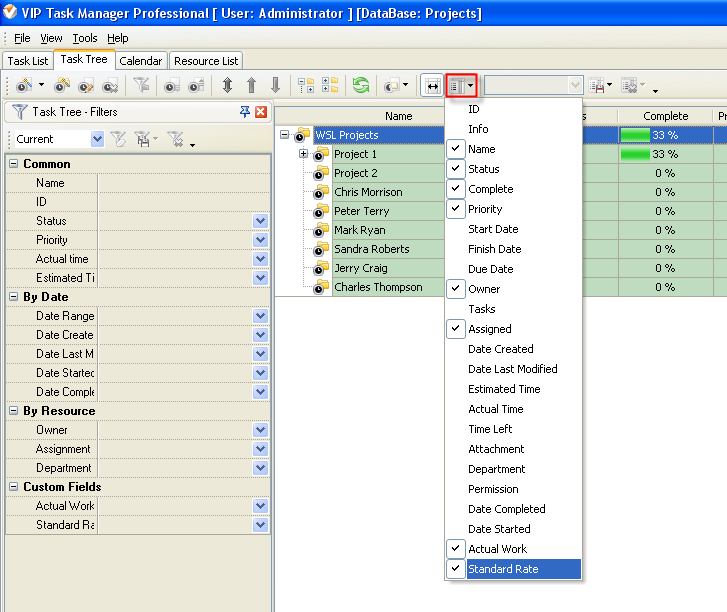 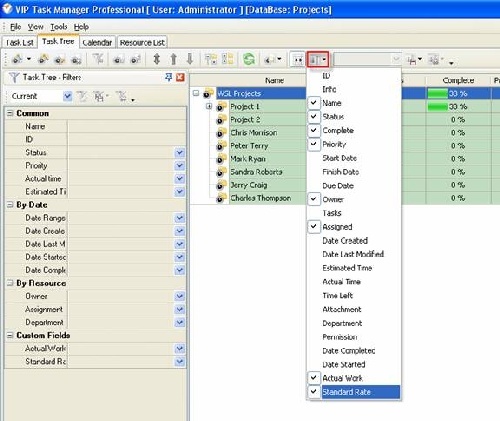 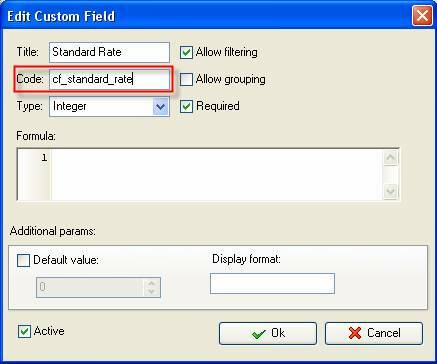 in "Title" field enter "Standard Rate"
in "Code" field enter "cf_standard_rate"
5. to display custom field Standard Rate on Task List or Task Tree please go to Task List or Task Tree, click Task List Columns or Task Tree Columns button and check the custom field "Standard Rate". 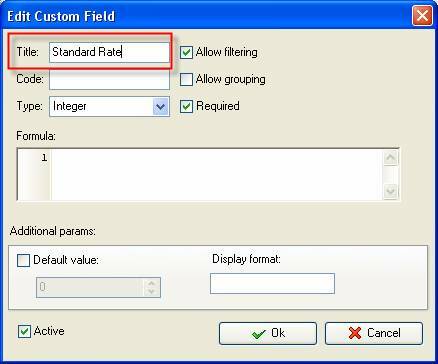 Enter the value for Standard Rate custom field, for example, if the resource assigned for this task has Standard value $10.00 USD per hour, enter " 10" in custom field "Standard rate".